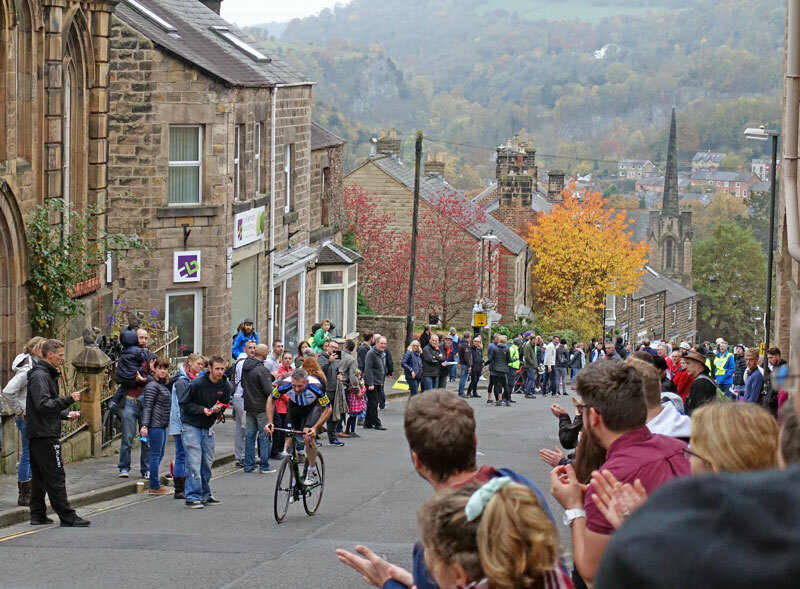 This year 2016 National hill climb championship was held on Bank Road, Matlock. Adam Kenway 2.18.2 (Metaltek Kuoata RT) and Lou Bates 2.57.1 (Veloschils Interbike RT) were the respective men and women champions. In the women’s championship Lou Bates finally made the top step of the podium after finishing 2nd and 3rd in previous years. Becky Lewis 2nd (Wrexham RC) and Joanne Clay 3rd (TORQ Performance) made up the podium. Though as someone who has finished 4th on a couple of occasions, honourable mention to Joscelin Lowden (Lewes Wanderers CC) who was just 0.1 second off the podium. Marginal gains and all that. 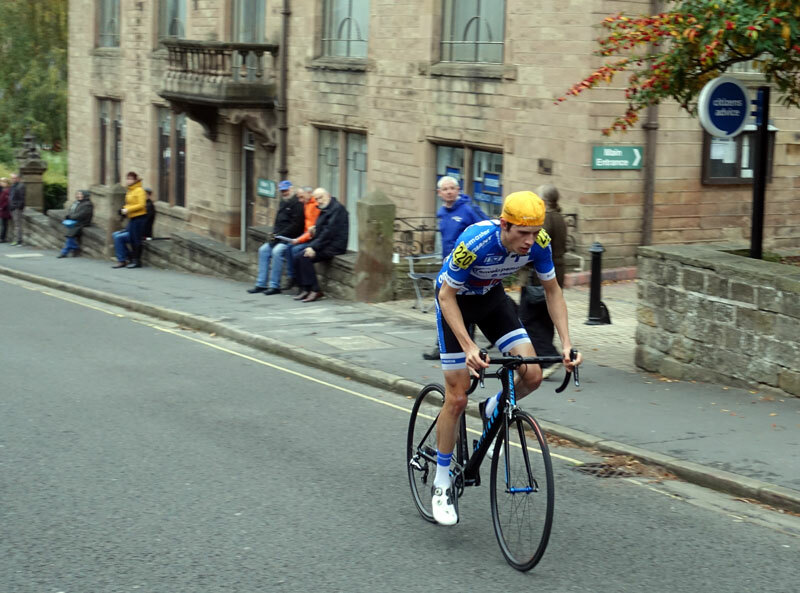 It wasn’t the best day for former national hill climb champions with four men (Richard Bussell, Dan Evans, Matt Clinton and Tejvan (me) and two women (Lynn Hamel and Maryka Sennema all missing out on a podium finish (I don’t think I’ve missed any more). 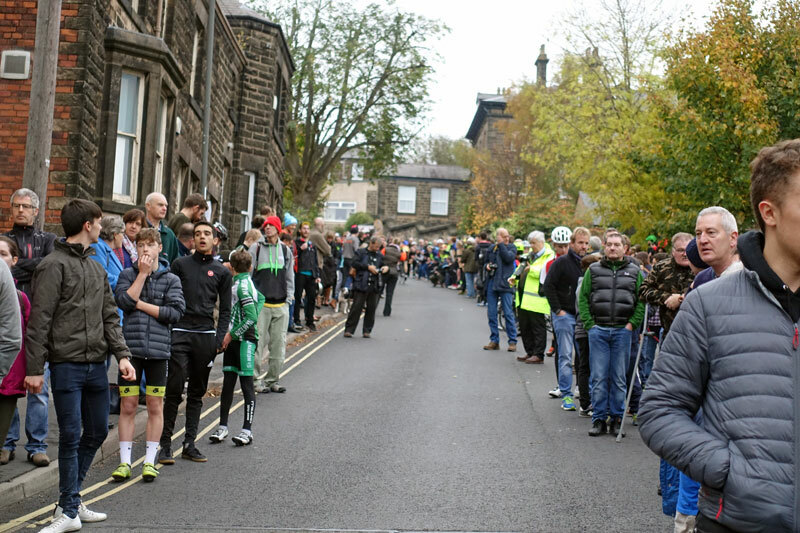 I spoke to Jim Henderson before the event, he had thought about entering, but after suffering on the Rake a few weeks ago, decided against it and settled for cycling 88 miles out from his home to watch the suffering by the side of the road. Perhaps I will be joining him in a few years. Last years champions R. Bussell and M.Sennema both finished 7th. 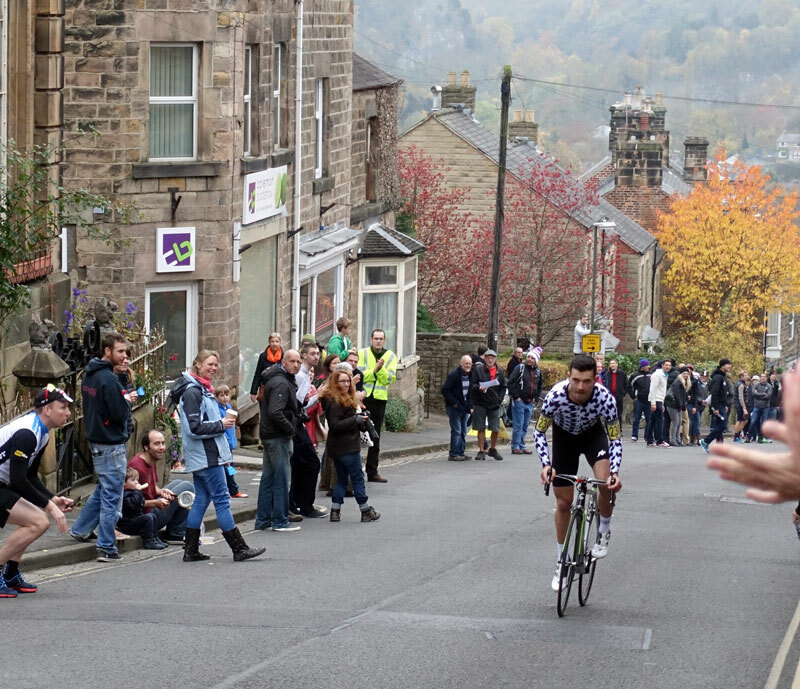 It is the nature of the hill climb championship than alternating hills suit different riders. Both men and womens champions won Monsal Head this year. The number of different winners in recent years show how difficult it has become to retain the title. The last person to retain the mens title was Dan Fleeman in 2010. 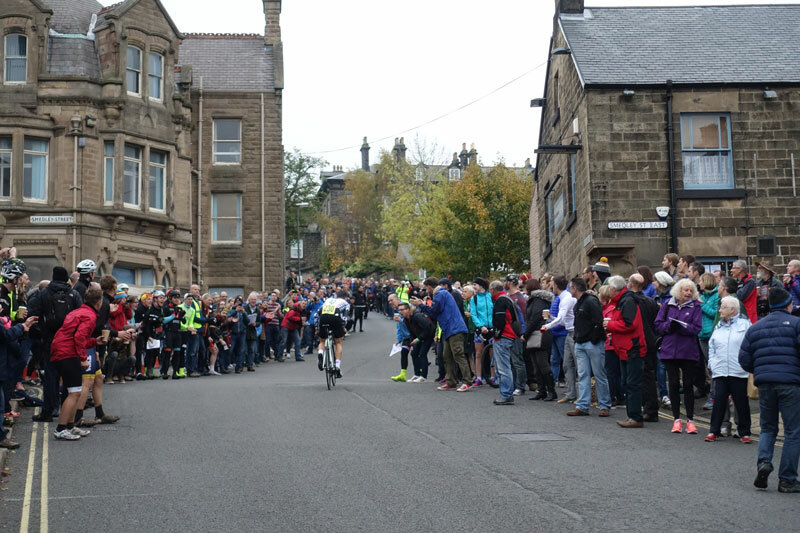 Also, they say these short hill climbs are a young persons game, and looking at the result it’s understandable. Though what a short hill loses in length, it can make up for in atmosphere. 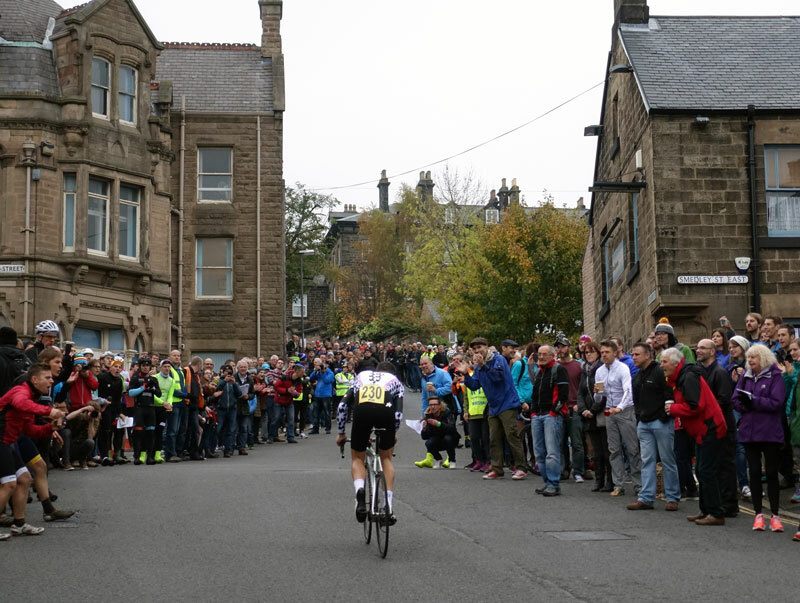 I can’t remember seeing so many spectators at a national hill climb championship. 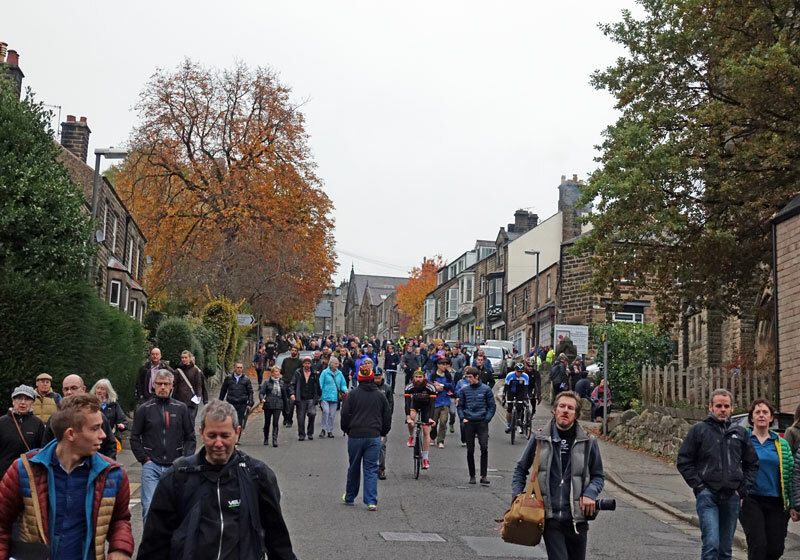 It was certainly packed and noisy towards the steepest bit of the climb. 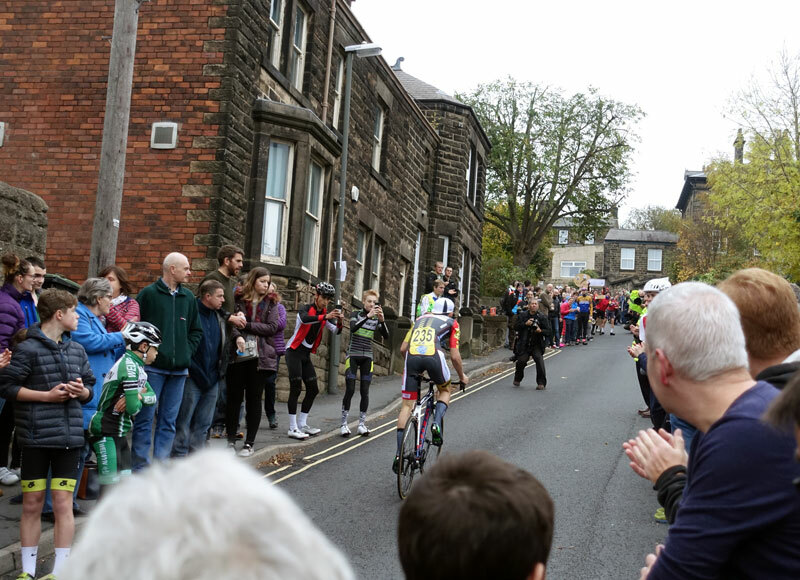 It was good to see so many riders and spectators enjoying the day. It takes a lot of effort to close a road for three hours these days. 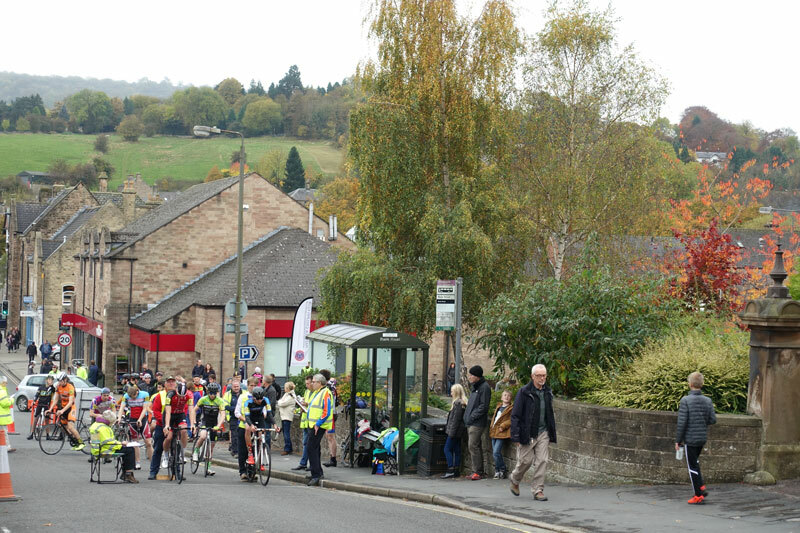 So thanks to Matlock CC and the marshalls who helped make it possible. The catcher marshalls were also doing a very good job. The weather was unusually good for late October. Warm, dry and barely a drop of wind (makes a change from past 3 years). With the top seeds distributed throughout the start sheet it was a blessing that the wind wasn’t variable to potentially influence the outcome. For myself, it hasn’t been a vintage hill climb season. 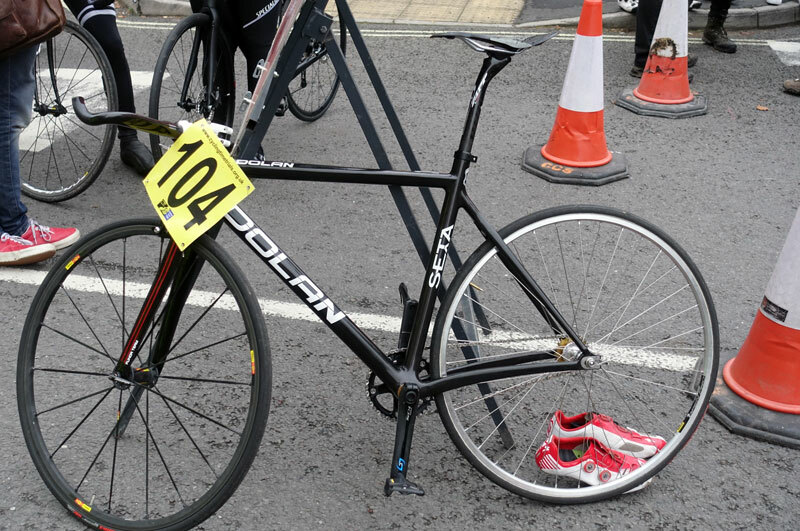 I’ve been struggling with a hip injury since a 12 hour TT in June. It still persists and I’ve only done sporadic training in recent months. I’ve have been up a short hill in Shotover in Oxford a few times, but every time I tried, I went slower – so in the end gave up. On top of this, I developed a cough and cold so spent quite a bit of time deciding whether to race. I had several logical reasons to dns – injury, cold, wrong hill, little training. But, in the end I still wanted to be there and take part. 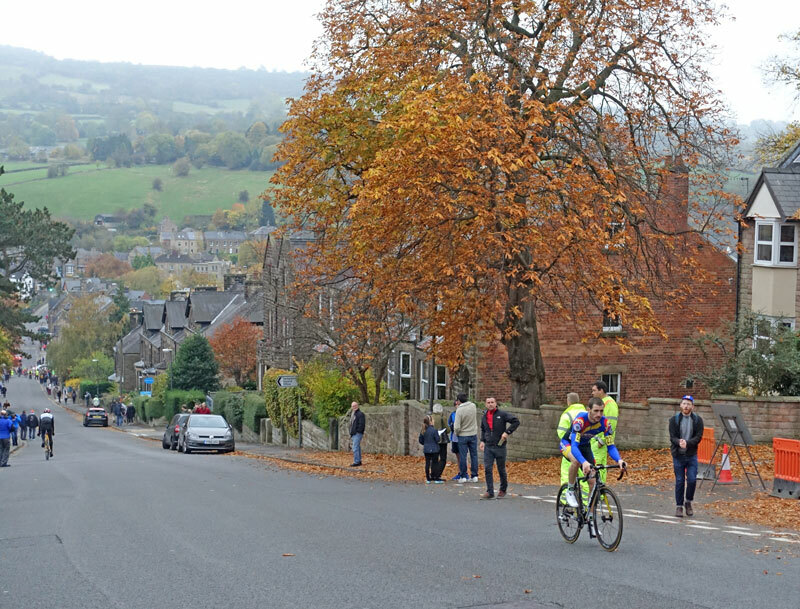 It wasn’t particularly rational to spend five hours driving for a 2 minute steep hill climb with a cold – but then entering hill climbs isn’t particularly rational in the first place. I arrived and parked near the climb. 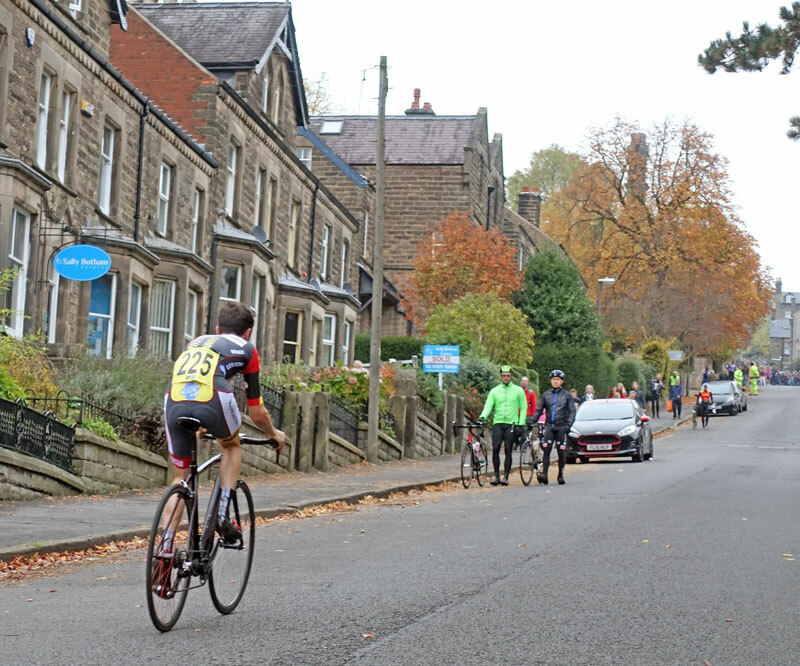 I warmed up by cycling up the back of the hill and taking photos of some early riders. I then only did 20 minutes light riding on the rollers so as not to aggravate the cold, then I went to the start and set off. I haven’t ridden the course since 2008, so didn’t remember it particularly well. I kept a reasonable pace and tried to go harder when it got steeper. With chesty cough and lack of focus for this championship, I didn’t really push the limits like in some hill climbs, but still kept a respectable effort. 41st place isn’t great when you were the champion a couple of years ago, but all things considered I was reasonably happy with a time of 2.40. If I had been fit and healthy for past three months I would have gone quicker but probably not too much. At least with 41st place, I’ve probably secured entry for next year’s championship. 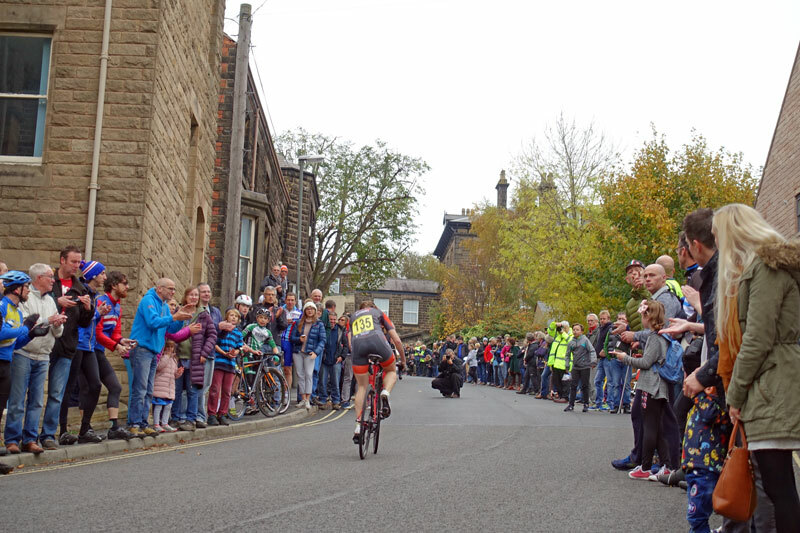 I’ve left it to the last, but one feature of this hill climb championship was its incredibly popularity with around 450 entrants for just 180 minutes of closed roads. As some have already said, it is a nice problem to have and when it is this oversubscribed – whatever you do, some people will be disappointed not to make the cut. However, there were a few issues with how the field was selected and set out – for future years, there are some things which can be improved. I may write a separate post later in week. In short – I do hope the top women get minute intervals for future fields. 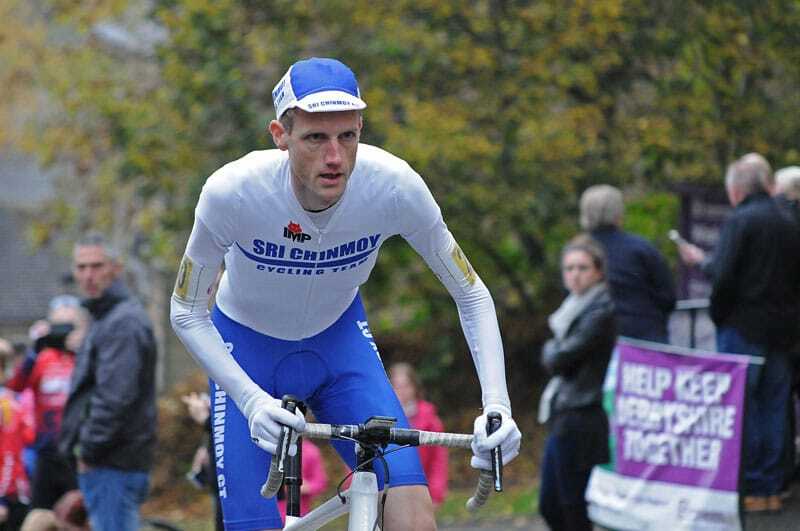 And bad luck to Andy Cunningham who has been going well, but didn’t get a ride this year. 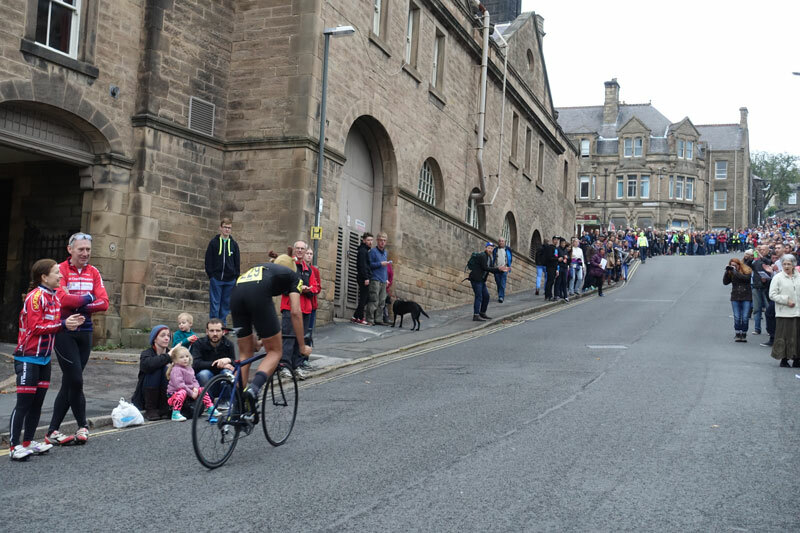 However, maybe 30 second intervals can work for non-favourites – I heard it worked out quite well on this kind of climb. Nevertheless I enjoyed the day. 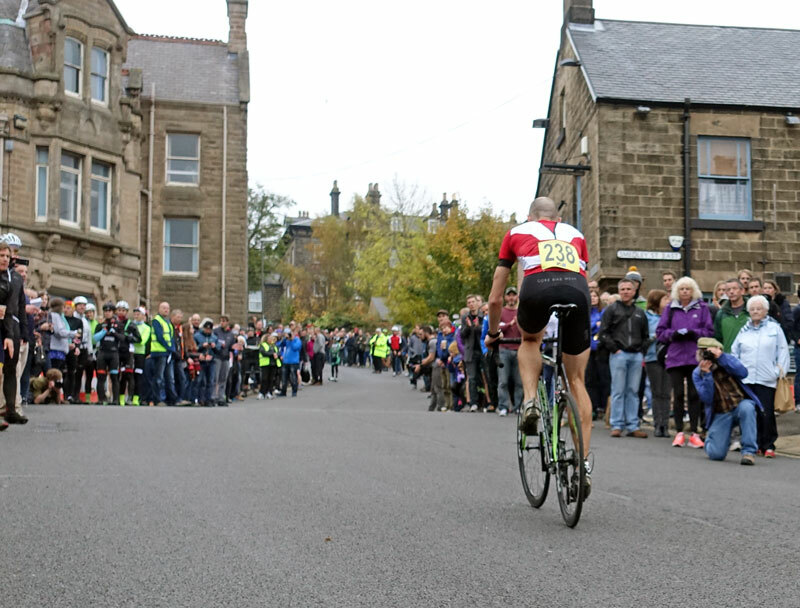 It’s the first time in many years I’ve turned up to a hill climb championship without any pressure or expectation of trying to get on the hill climb podium. I was pleased I got a chance to congratulate Adam Kenway just as he was heading off in the car. It brought back memories of the year I won, it’s a good feeling. 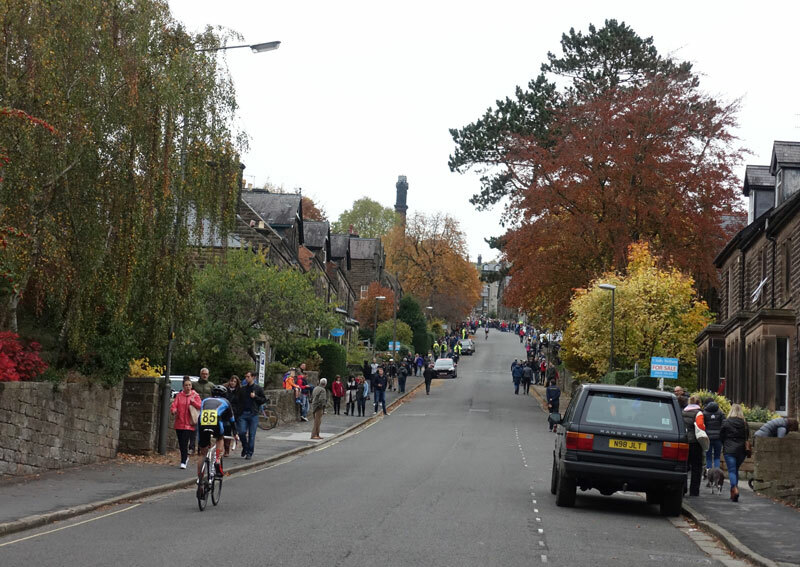 The best thing about this hill climb season was winning at Burrington Combe last weekend (2 mile climb). 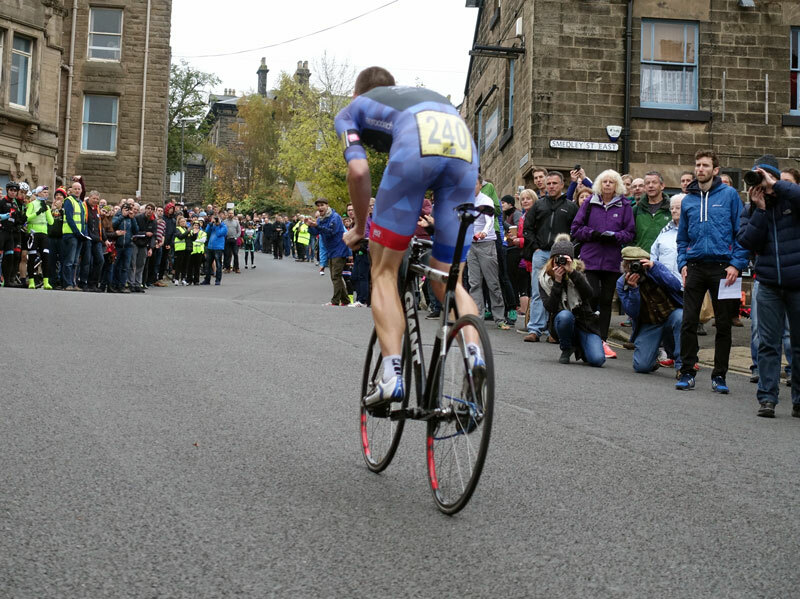 If I can blow my own trumpet to make up for coming 41st today, I did actually beat Isaac Mundy into second place last weekend – which shows how different climbs suit different physiologies. I did tell him he would go very well this weekend. Hopefully there is more to come. 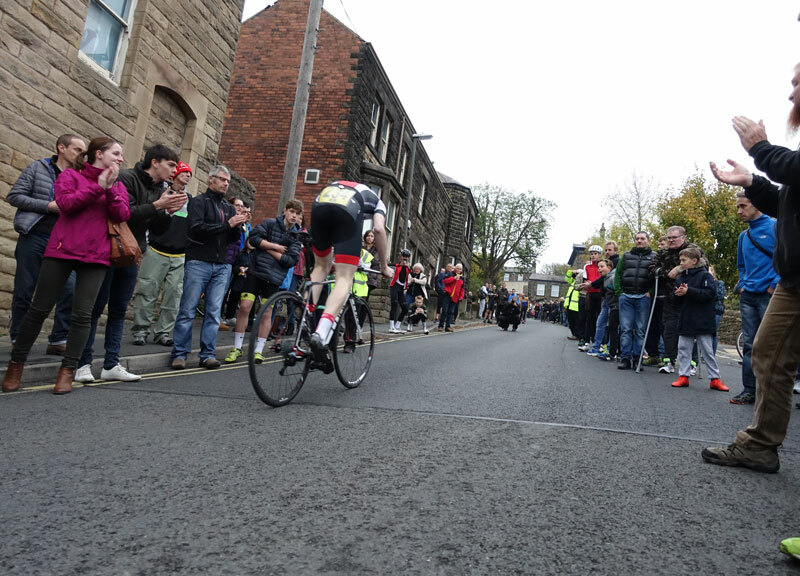 The 2017 National Hill climb championship is in the North East. Around 1 mile, average 8%. 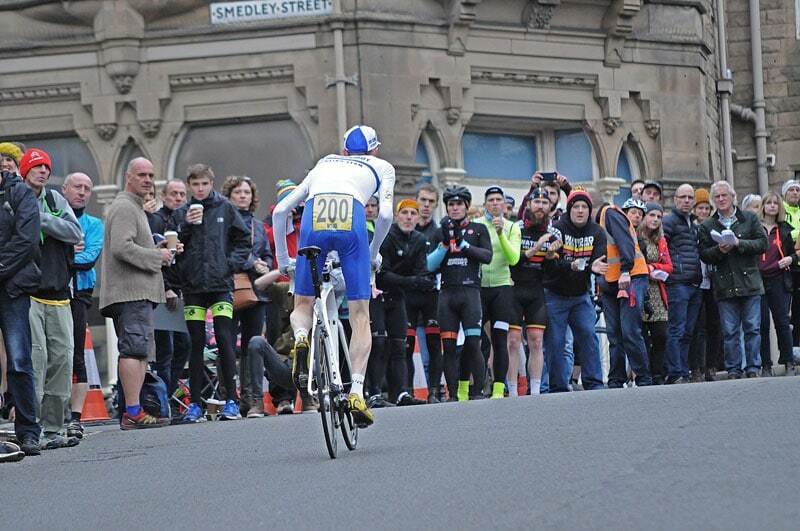 Current fastest time around 4 minutes – so more like Jackson Bridge, though not quite as steep. 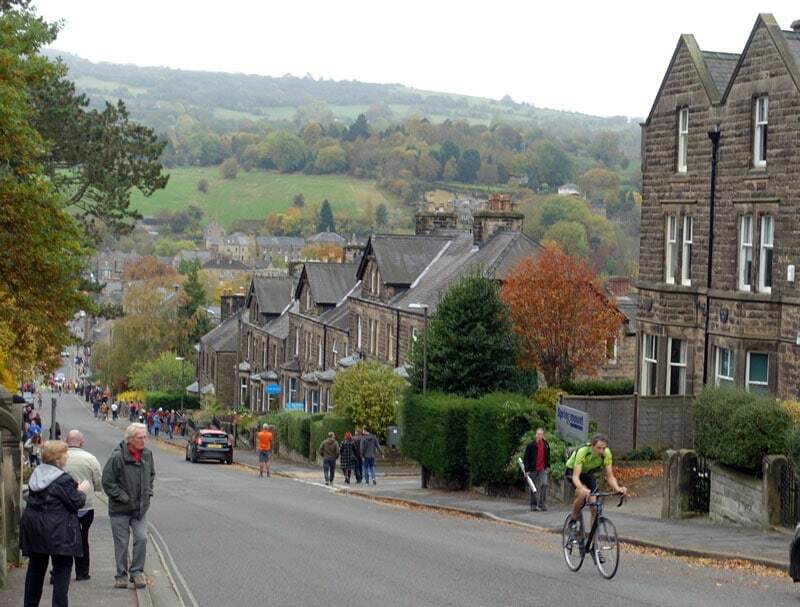 It will be organised by a keen hill climber – Ben Lane of G.S Metro – good luck ! A good setting for hill climb. Joe Clark, who set new course record up nearby Riber last week. 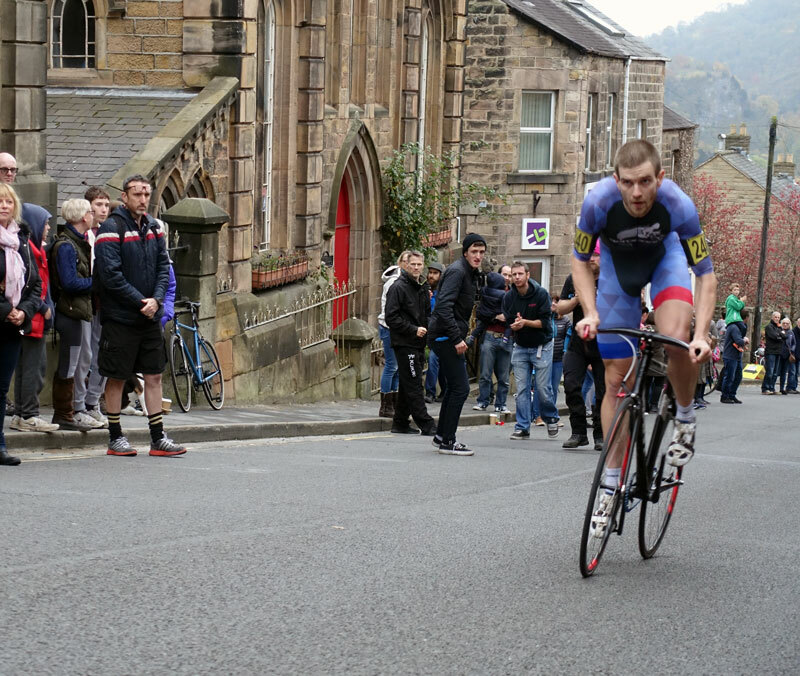 Dan Evans has been going well on the longer climbs this year. 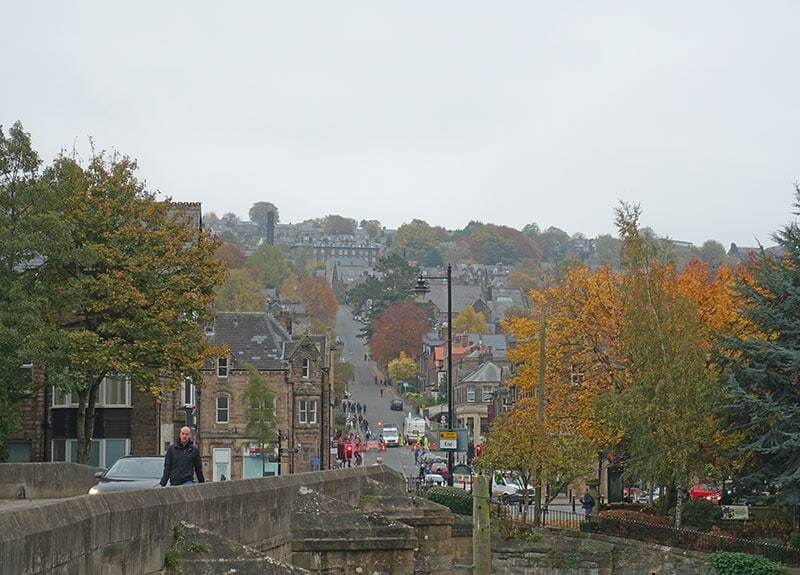 Matlock is great place in late October. Fixe gear bike looking sleak. 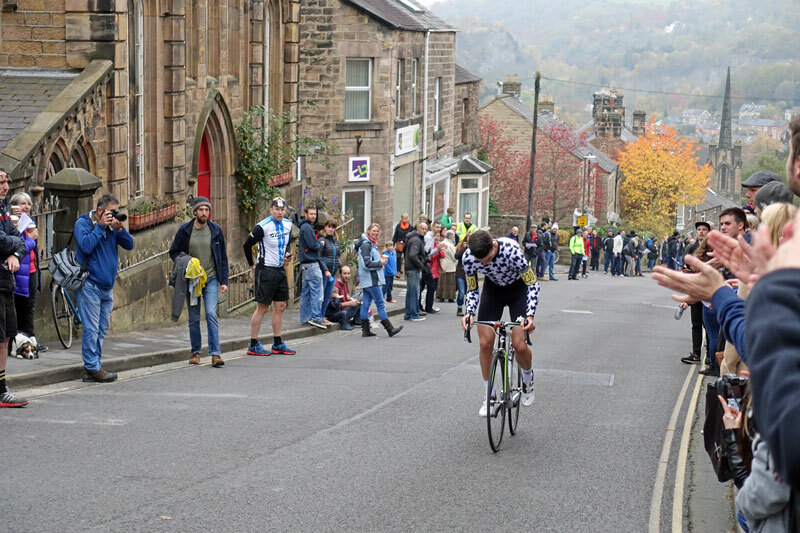 Matlock CC 2016 hill climb championship. Good luck on the big day, I’ve put an entry in, with the aim of beating my time from 2008. I’ve heard that they already have over 280 entries so I might not get in. Looking on the bright side if i don’t get in I can start eating cake and drinking beer again after 3 long months of diet and training for the big day! If I don’t get a ride I’m coming to cheer everyone else on. Its a great day. Interesting to see the KOM and QOM so close on this segment. ELB was competing in the Womens Tour though. I watched the race that day – flippin’ brilliant! Nice to say hi to you at Otley x2 HC by the way. recent business project brought me to Midlands last year and little did i know how much i would struggle to find a decent hill round here. in fat, so far i has not been able to meet a cyclist who one could call a climbing specialist…..
when i trained with my cycling club in slovenia and switzerand no slope that you could do under ten minutes was considered a ‘climb’ and very few people would bother to use such a short slope as a training hill. Yeah, glad to see you there. Not my sort of climb either but I wouldn’t miss all that theater for the world! Thank you,from all of us that couldnt be at the climb, Great pictures and a wonderful youtube link. My first National was on the Rake in 1999 along with a younger (22 year old?) 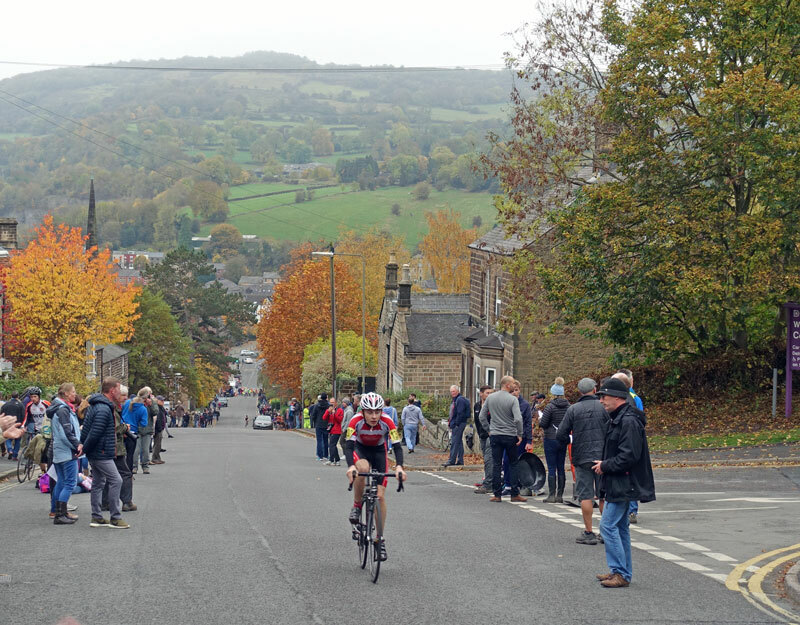 Pettinger & I think there were only around 99 competitors, fast forward & over 400 entries this year & hill climbing is in pretty darned good health, long may it continue. It’s a fairly brutal discipline but after a protracted season taking a panning from the big guys in time trials it was always good to show some form bereft of these individuals. Thanks from the fraternity for your exemplary blogs, long may they continue & good luck in the forthcoming veteran challenges you will be facing.